Richmond, Virginia (November 29, 2016) – The Virginia Energy Efficiency Council (VAEEC) honored the winners of its first-ever Virginia Energy Efficiency Awards at a reception in Richmond tonight attended by Governor Terry McAuliffe. 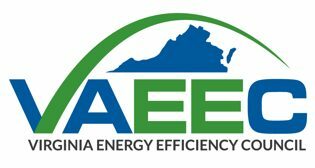 VAEEC received more than 50 nominations for the 6 awards which showcase how energy efficiency champions across the Commonwealth are helping businesses, schools, government and homeowners save money on energy expenditures while reducing energy consumption — all while stimulating job growth and our economy. 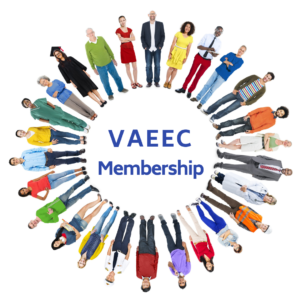 Any person, entity or group who works on energy efficiency in Virginia was eligible for the Awards which were chosen by a Selection Committee, comprised of members of the VAEEC Education and Outreach Committee and additional volunteer members of VAEEC. The full list of winners and runners up with project descriptions can be found online (http://vaeec.org/programs/2016awards/), and winners’ descriptions are below. Submitted by 2rw Consultants, Inc.
3rd Place: Exact Energy Inc. Submitted by Exact Energy, Inc. The new Manassas Park Elementary School and Pre-Kindergarten were built with the goal to create a campus that was not only environmentally sustainable but that was also a resource to teach students about environmental stewardship. The buildings are designed to meet the American Institute of Architects (AIA) 2030 Challenge and use 50% less energy than code-compliant schools. Features include photo-sensors, which activate artificial light only when needed to supplement natural lighting; ground-source heat pumps, variable-speed pumping, pre-treatment and total energy recovery for ventilation air; natural ventilation; rainwater harvesting; low-consumption fixtures and kitchen equipment. The team was largely responsible for fixing the flawed Property Assessed Clean Energy (PACE) legislation in 2015, which previously did not give the PACE lien priority over existing mortgage holders. Through their efforts, the PACE legislation passed easily – where previous years’ efforts to modify the statute failed – with very little opposition in the General Assembly. Since the legislation went into effect in July 2015, the team has been active in building interest, support and knowledge of the value proposition of PACE throughout the state. The mission of Henrico County’s Energy Management program and energy manager is to develop Henrico County Government and Schools as the leading local authorities for sustainable energy use and to promote the importance of good energy management for the economic and environmental well-being of the county’s residents and employees. The Energy Management program also strives to improve energy education and foster a culture of efficiency and sustainability in the County, while the Energy Manager supports green design and construction efforts for capital projects. Completed projects include energy audits, HVAC and lighting system upgrades, participation in demand response programs, commissioning and retro-commissioning, traffic and street light upgrades, building automation systems, and construction of a 4-megawatt methane gas to electricity generator at the landfill. Community Housing Partners’ (CHP) innovative energy efficiency training project involved a live broadcast from a manufactured home in Virginia to the statewide Weatherization Assistance Program (WAP) conference in Minnesota. Having been a WAP provider for 40 years, CHP knows firsthand the importance of equipping WAP crew members with the knowledge, skills, and abilities to produce quality work resulting in maximum energy savings for the low-income households served by the program. CHP developed a 3.5 hour live-stream training session with relevant predefined topics and real-time Q&A, which enabled CHP to develop a new approach to energy efficiency training that will be replicated nationally, and potentially internationally. Columbia Gas of Virginia’s Web-Based Home Audit Program allows residential customers to participate in their own energy analysis and places them in the “driver’s seat” of achieving an energy efficient future. Customers participating in an online home energy audit receive a customized report recommending home improvements that can be implemented to reduce natural gas usage. Through the end of 2015, CGV’s customers have achieved over $4M in savings through the program. Meanwhile, several roundtable participants, including executives from businesses large and small that are involved in renewable energy projects, congratulated McAuliffe for his administration’s support of solar and wind energy and efforts to promote energy efficiency. Discussion focused on clean energy projects completed, underway or proposed, as well as on how utilities, state government and regulators, including legislators and the State Corporation Commission, could provide additional support for renewable energy and energy efficiency.